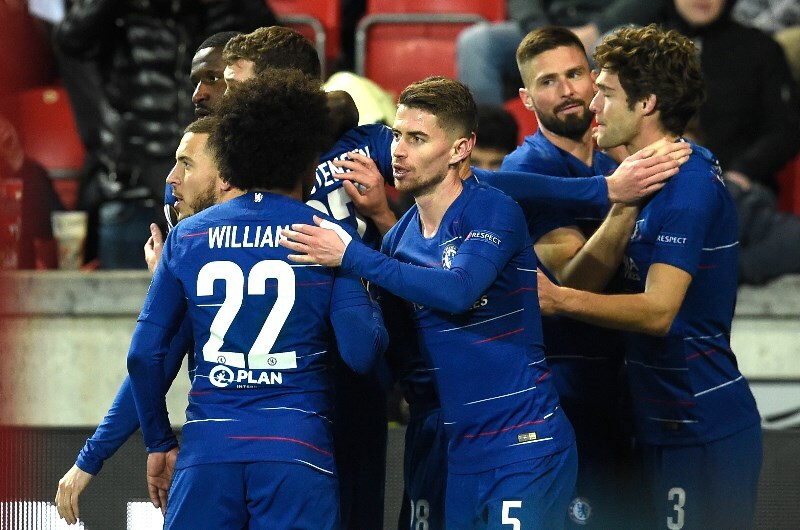 Chelsea are set to complete the double over Czech club Slavia Prague in their UEFA Europa League quarterfinal second leg. The Blues have been driven by Olivier Giroud who has nine goals in this year's competition, the striker is tipped to score in a comfortable victory for the hosts. Chelsea earned a 1-0 victory over the Czech team in the first leg last Thursday. They were made to work hard for the win with Marcos Alonso's strike on 86 minutes earning the Blues a first leg advantage. The London club's campaign has been driven by Olivier Giroud who has scored nine goals in the competition. The striker is set to start on Thursday alongside the likes of Callum Hudson-Odoi and Ross Barkley who have both featured prominently in the competition. Maurizio Sarri's team are one of the favourites to win the Europa League and are priced at 1.33 for the victory on Thursday. Given Giroud's fine goal scoring form in the competition, a bet on the Frenchman to find the net in a Chelsea win is recommended at 2.50. 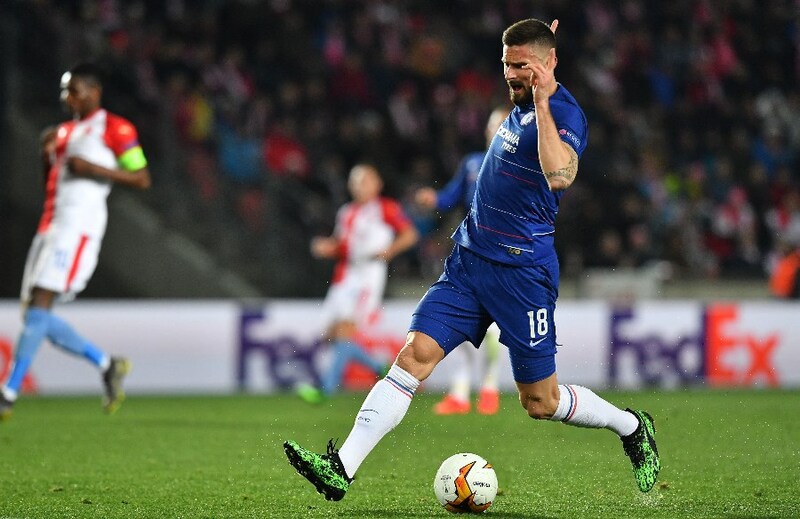 Slavia Prague appear low on confidence having failed to win in their last two matches, including the 1-0 defeat in the first leg against Chelsea. They had a number of scoring opportunities in the clash but were wasteful in front of goal. The Czechs often struggle on the road in the Europa League with two wins in five away matches in the competition. Jindrich Trpisovsky's men are priced at 8.50 to beat the Blues on Thursday with a draw valued at 5.00. The manager is likely to stick with the same team that started the first leg with Miroslav Stoch featuring in attack alongside Lukas Masopust and Peter Olayinka. Last week's 1-0 victory for Chelsea was the first ever meeting between both teams. Giroud has been excellent for Chelsea throughout this year's Europa League with nine goals to his name. The striker's aerial presence and hold up play makes him a handful for defenders and he is expected to add to his tally on Thursday. Slavia Prague’s 1-0 loss in the first leg means they have to be adventurous in the return leg. An attacking style could play into the hands of Blues who have enough quality to hurt the visitors. Chelsea have won 13 of their last 14 matches (UEFA Europa League). Chelsea have won 4 of their last 5 home matches (all competitions). Chelsea's Olivier Giroud has scored 9 goals in his last 8 matches (UEFA Europa League). Slavia Prague have scored at least 1 goal in 3 of their last 4 away matches (UEFA Europa League). Having claimed a first leg advantage away from home, Chelsea will be confident of completing the double at Stamford Bridge. The Blues are formidable at home and are backed to secure victory with Olivier Giroud tipped in the goalscorer markets.